After putting about 100 hours of full load on my 4 x AMD Radeon HD 5970 brute forcing machine, I completely disassembled it to visually inspect all internal power connectors, cables, the graphics cards, motherboard, and the PSUs. I decided to redesign how power is distributed to the PCIe slots. I explain why and how below. The graphics cards now draw 12V directly from the PSU. 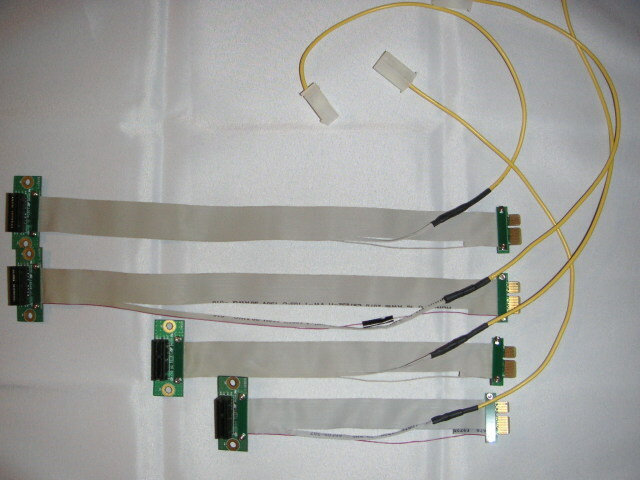 The current on the 12V lines on the 24-pin connector dropped from 14.8A to 0.1A. 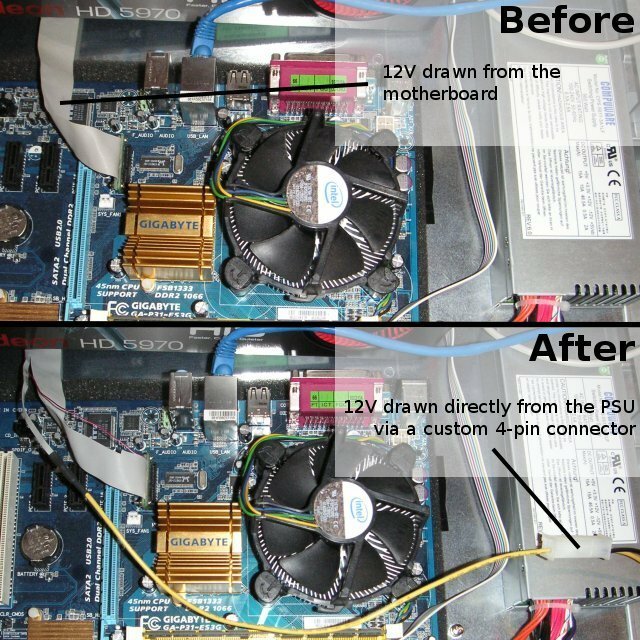 The picture shows how the new power distribution looks like for one HD 5970 card. It took me less than 15min to modify my four extenders: cut ribbon cable, solder wire, cover with electrical tape, put heat-shrink tubing on, crimp a Molex terminal on the other end, and slide into a 4-pin Molex housing. I wish someone would mass-manufacture this type of extender. This is a universal accessory for using as many high-powered graphics cards as possible with any motherboard. but why only "+" Cable? Same Ampere in (+) as out (-) !! Measure Ampere on "-" (0V12) will show the Problem.